Mylo can help you find a great dental plan. 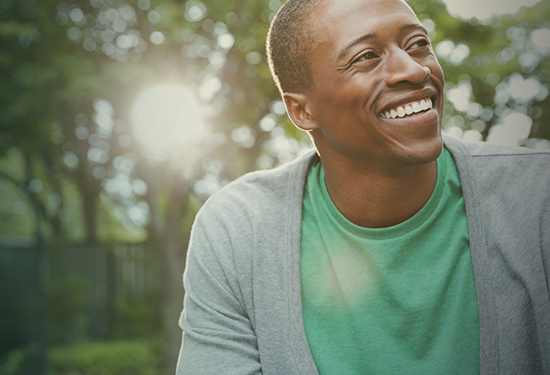 Find more ways to keep that bright smile healthy. Healthy teeth and more. Plan on it. Just a guess here: You’re probably extra fond of your teeth and want to keep them as healthy as can be. If you’re looking for a plan to avoid less-than-fun oral problems down the line (good move! ), Mylo can guide you to the right coverage for preventative care like check-ups and cleaning ... and reduce the cost of x-rays, fillings and more. Dental insurance pays for covered services when you need them. Plus, there’s no enrollment period or qualifying conditions. Finding the right plan is easy — just check out our video. Sign up any time. Really, we make it painless. Regular exams and cleanings help prevent more serious—and pricey—problems down the line. Find plans that cover procedures like oral surgery, root canal, crowns, implants and orthodontic care. Most plans let you see a specialist (like an orthodontist) when you need one—right there in your network. No matter what dental coverage you’re looking for, Mylo can help you find it. Our licensed experts can’t wait to guide you to top-rated plans from trusted insurance providers. We also offer easy-to-use tools that let you make side-by-side comparisons of plans by coverage, monthly price, deductible amount and annual limit. And our super friendly experts can answer any questions. Trust us, your teeth are thanking you already. No, really. Are there different types of dental insurance plans? Yes. “Indemnity” plans offer a broader range of dentists, while “managed care” plans usually have lower out-of-pocket costs. Both reimburse you for services received. Can I see a dentist who’s out of network? Depends on your plan. Some let you see any dentists you want. Others limit your care to a dentist within a network. Usually, out-of-pocket costs are higher with out-of-network dentists. Most insurance plans allow you to see specialists (such as oral surgeons and orthodontists) who are also in your network. We can find a plan in a pinch to cover out-of-the-blue accidents or illnesses with big medical bills.